Posted on September 20, 2012 by Sandi. 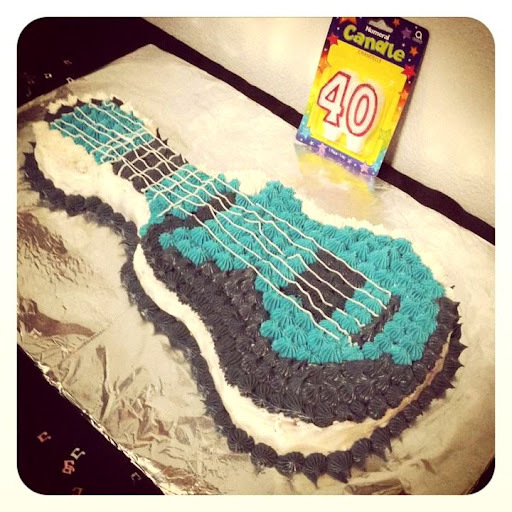 This entry was posted in Baking, Food and tagged cake, cupcakes, dolphin cake, guitar cake, nora fleming. Bookmark the permalink. I think my NY resolution was not to make any this year…. That’s healthier but I don’t think you had any previous cake carnage you had to erase from people’s minds! This made me laugh! but not AT you. 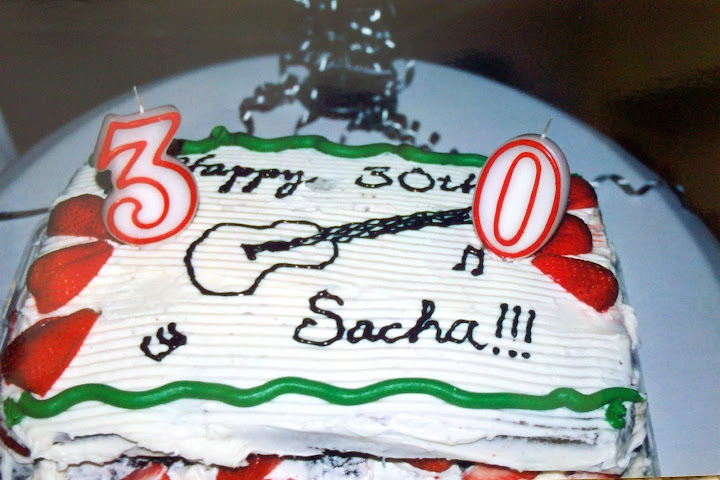 i am seriously impressed with your cakes… i could never pull them off. and your cupcakes looks so profesh!! nice work! best of all… i bet they tasted amazing. i have no idea what my New Year’s resolutions were, either. People never ask this late into the year! Thanks Sophie! You can’t go too far wrong with butter and sugar, but you can always make it prettier! I know, almost time to start thinking about next year’s resolutions that we’re going to forget, right? How did I miss this?! You’re good at everything you do. Seriously. Stop it already. 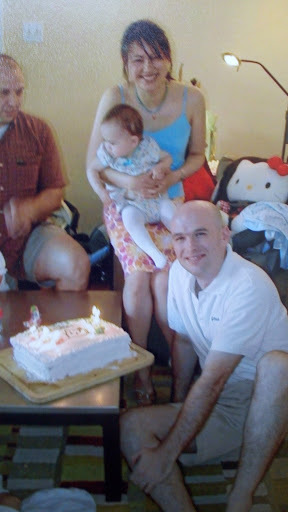 LOL, see Exhibit A (two-layered cake where you can SEE THE LAYERS FROM THE OUTSIDE) and Exhibit B (non-Sanrio-sanctioned Hello Kitty Cake) for proof otherwise!